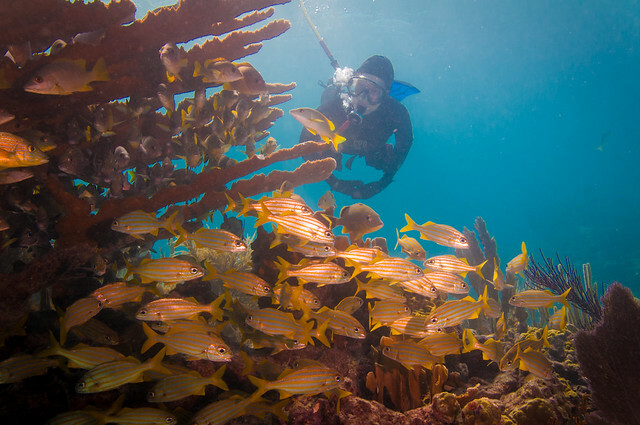 There’s a reason that Molasses Reef is the most popular dive spot in John Pennekamp State Park, and the entire Florida Keys. 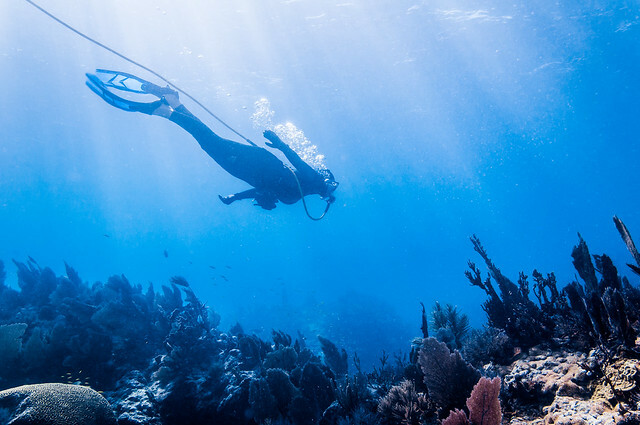 Towering coral, deep swim-through channels, fish of all kinds, and the occasional pelagics make for a wonderful underwater experience. 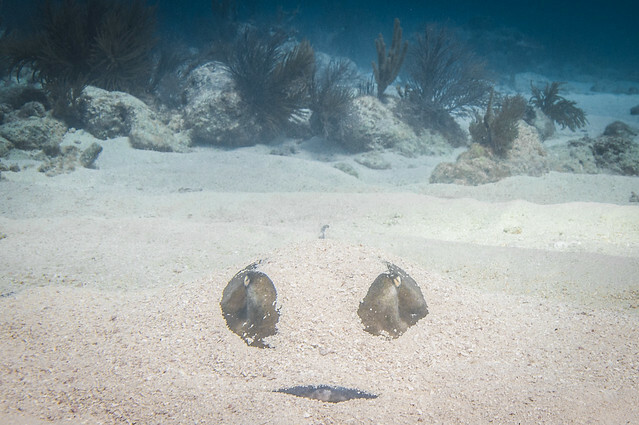 This stingray hides among the sand at Molasses Reef. 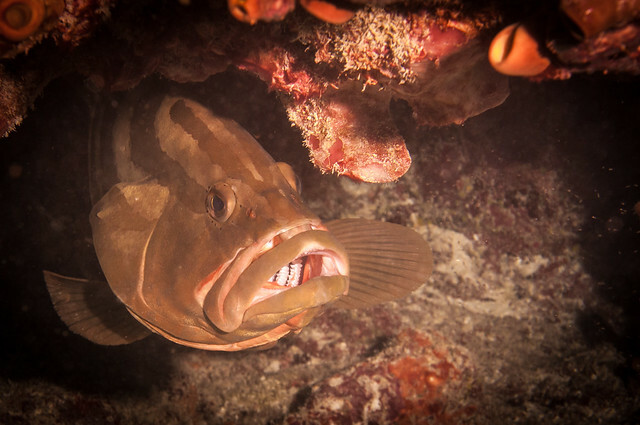 I see where the term "Fish Lips" came from!